A treat for all homecare nurses! This Car-Go™ utility bag is designed for travelling that can carry all your essentials. 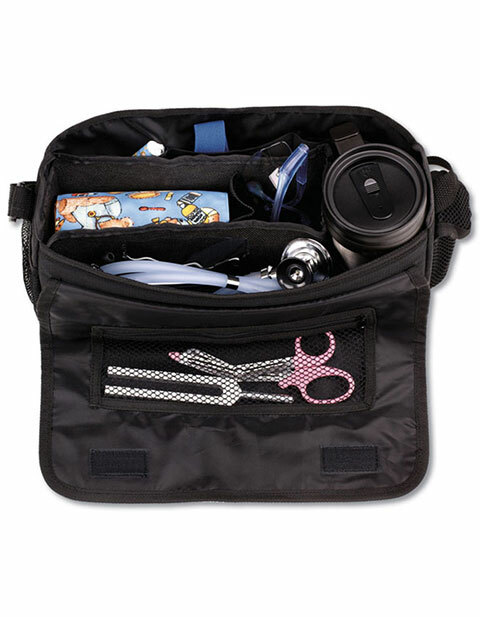 It features include a travel mug holder, front mesh pouch, cell phone pouch, removable aneroid sphygmomanometer compartment and a bottom Velcro strip which holds the bag in place on cloth seats or floor. Multiple inner compartments hold additional equipment and personal effects. Dimensions: 13x6x4 inches.